"The state has no plans that show anybody's houses being taken," Hogan told reporters Tuesday. But some residents don't believe the proposed widening can be done without it. ANNAPOLIS, Md. — Gov. Larry Hogan has promised residents that the state has no plans to take homes using eminent domain as part of the widening of Interstate 270 and the Capital Beltway. 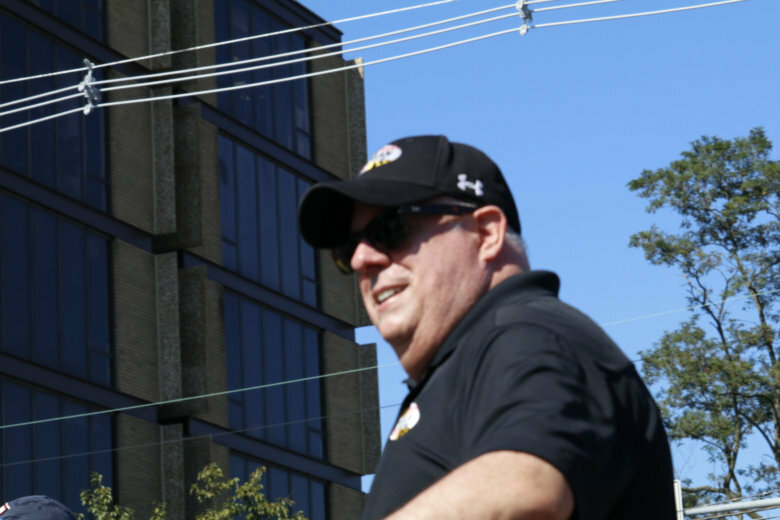 At a news conference in Annapolis on Tuesday, the governor repeated what he told a group of concerned citizens at a Labor Day parade in Kensington: “The state has no plans that show anybody’s houses being taken,” he said. At Monday’s Labor Day parades in Kensington and Gaithersburg, the governor talked to residents, including Pete Altman with the group Don’tWiden270, who held signs protesting the governor’s plans to add lanes to I-270 and the Beltway. The governor said he told protesters, “I can assure you we’re not taking your houses,” and blamed what he called “a pro-traffic group or an anti-improvement group” for putting out information that he said was misleading. The governor didn’t say what group he was referring to. Slater said there are surveyors working along the roadways, conducting soil tests and environmental studies. And he confirmed that letters have gone out to residents notifying them about that activity. Rockville resident Dan Hennessy, who lives in the Rockshire neighborhood on the west side of I-270 near Maryland Route 28, said he was grateful for the governor’s statements. But he remains concerned about how the plans under the public-private partnership would be executed. Ben Ross, with the Maryland Transit Opportunities Coalition, remained skeptical of the reassurances from the governor and from the state highway administrator. “There simply isn’t room to add four toll lanes to the Beltway without knocking down houses,” Ross said.